Judgment creditors can spend a lot of time searching for a debtor’s assets, sending out garnishments to banks and employers and taking other steps to find any cash or property to satisfy their judgment. During these collection efforts, creditors may also hear from debtors who claim that they simply don’t have the means to pay. That may or may not be the case, but creditors can find out the truth and get a full picture of a debtor’s assets and finances directly from the debtor, under oath, through the use of a debtor exam subpoena (DES). Once requested by a judgment creditor and issued by a judge, the DES will be personally served upon the debtor. 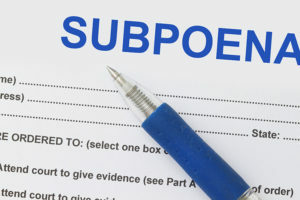 As with other subpoenas, the DES will set forth a specific date and time when the debtor must appear in court to testify in detail about his financial situation. The DES will not only require the debtor to appear but will also direct him to bring documentation relating to his finances, such as bank account statements, pay stubs, tax returns, and records showing personal and real property ownership. At the designated date and time, the debtor (or a representative of the debtor, if an entity) will be sworn in and placed under oath. The collection attorneys for the creditors will be there as well, ready to review the debtor’s records and armed with a list of probing questions about the debtor’s finances. The debtor must answer these questions completely and truthfully. The debtor and the creditor’s attorneys will typically use a conference room adjacent to the courtroom for the questioning itself. Usually, no court reporter is present for the exam, but the creditor can request one (on their dime) if they suspect that the debtor may be untruthful and if a record of his testimony would be useful for revealing any deception. While the debtor must answer all of the questions asked by the creditor’s lawyers, those lawyers can only ask about the debtor’s assets and ability to pay; no questions can be asked about the debtor’s spouse and the spouse’s finances unless the spouse is also a judgment debtor. If a debtor refuses to answer legitimate questions, the creditor’s attorneys will immediately advise the judge and request that he or she enter sanctions against the debtor. Most often, the judge will order the debtor to respond or else be held in contempt. The judge may also permit the creditor to continue the questioning in the courtroom to minimize the chance of any further disputes. If the debtor fails to appear for the exam altogether after being properly served, the creditor may request that the judge issue a bench warrant for the debtor’s arrest. Some courts will authorize a warrant on the spot, while others will give the debtor one more chance and require the debtor to appear and “show cause” why the judge should not hold the debtor in contempt for failing to appear. A debtor exam subpoena is an excellent way to obtain information about the debtor when other judgment enforcement steps have come up empty. We still recommend using garnishments and other means of enforcement first, as the element of surprise these methods provide can catch a debtor off-guard before he has a chance to move or conceal assets. But a DES can be an important and useful adjunct to collection efforts, allowing creditors to explore every aspect of a debtor’s finances as they attempt to locate and seize assets to satisfy their judgment. 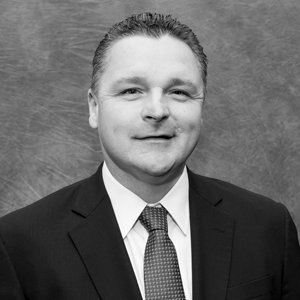 If you have questions about debtor exam subpoenas or other ways to collect upon a judgment or other monies you are owed, please contact Ray Schultz today at RSchultz@kehb.com or (616) 254-8400 to discuss your situation and the rights and remedies available to you as a creditor.